Researchers just found an on-off switch for sperm movement. This has the potential to help men who are infertile, but it also has the potential to help all men. It could be an effective form of male birth control. A new study in Science details a new finding, which may be the first step towards a new and better type of male birth control. 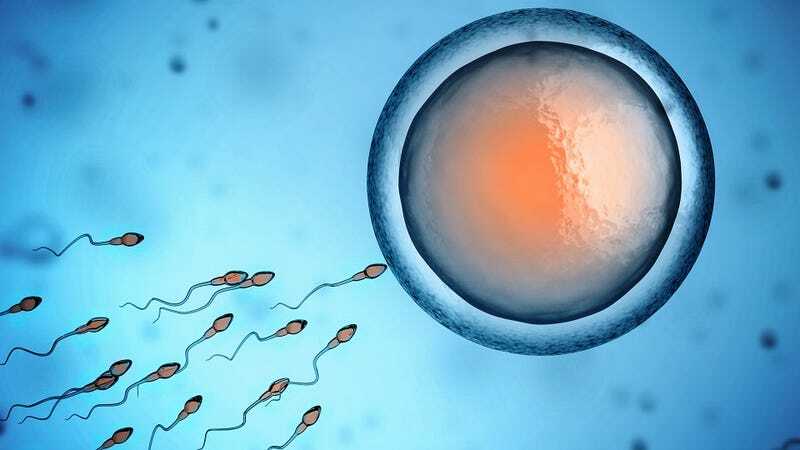 Researchers at at UC Berkeley and Yale University found a switch that will turn sperm from the lazy swimmers they are in the testicles to the vigorous swimmers they are when exposed to an egg. This may help some men improve their sperm fertility, but could also help a lot more men keep their sperm turned off. Researchers knew that when sperm is exposed to progesterone, a hormone put out by ova, they become more energetic swimmers. They also knew that this hormone flips the switch by allowing a rush of calcium into a sperm’s tail, and that it was triggered by a protein called CatSper. What they didn’t know what what exactly triggered the CatSper. Was the hormone directly triggering the CatSper or was it using an as-yet undetected mechanism? The scientists tried treating sperm with substances that disabled different enzymes, and then exposing the sperm to progesterone. They found that if they disabled a certain class of enzymes the sperm never switched on. With careful refinement, they zeroed in on the exact protein that progesterone must bind to in order to activate the sperm: ABHD2. The public hasn’t heard of this protein yet, but if the research continues, it might achieve some fame. Some men probably have fertility problems that can be reversed if scientists can manipulate ABHD2. More importantly for men not looking to become fathers, if researchers can manufacture a substance that causes men to generate sperm with defective ABHD2, or disables ABHD2 in the sperm that men do manufacture, it’s possible that men will have a simple method of birth control. Male contraceptive options are thin on the ground right now. Although multiple contraceptive options are in development, they have drawbacks. Vasalgel, a gel that blocks the vas deferens, is effective and temporary, but it has to be injected into the vas deferens. Adjudin is a drug that blocks production of sperm, and also seems to have anti-cancer, anti-inflammation, and anti-neurodegenerative properties, but needs to be taken in very high doses. A new drug, that allows men to create sperm and doesn’t require any messing around with needles, might be a great option.